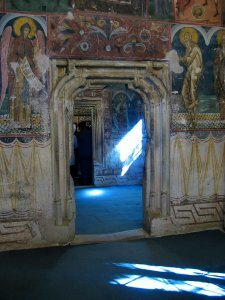 Welcome to the Heart of Light Center for Shamanic Light Work. We're so happy you came. You have found a place of fellow sojourners here, who share with you the quest for Love, Light, Freedom, Wholeness and Ascension. Here, you are among friends, sacred energies, allies and wisdom elders. At Heart of Light, we are committed to our name: to continue to brighten and deepen our own hearts of Light, while assisting others in doing the same. Please feel free to peruse our site, listen to your own Inner Voice, and ask any questions you would like. We are happy to assist you in any way possible. We provide a full array of personalized services to assist you in identifying and clearing those areas of your life that keep you "stuck," holding you in patterns of fear, anger, insecurity, illness, addiction, poor relationships...all those other bothersome roadblocks on the way to enlightenment. At Heart of Light, we believe in old-fashioned human connections. We still talk to our clients, chat with them online, answer their emails, and -- yes -- even see them in person. We also pray regularly for each client, seeking Spirit's guidance for the higher good of each individual. We are invested in your growth and wellness at every level, for this is our mission on earth. At Heart of Light, you will never have the experience of plunking down money, providing your name and birth date, then wondering if anybody is really out there doing anything for your alleged long-distance session. You will always know you are held in the loving container of Spirit. It takes a lot more time and energy to work this way, and we can't see as many clients, but this is who we are; we wouldn't have it any other way. For thorough information on Shamanic Lightwork, please see the Energy Healing pages, or use this link to check out all our Services. At the heart of the Heart of Light is Ashandra-Aah: shaman, light worker, wisdom elder, energy healer, and visionary author. Educated at some of the best Institutes in the country in cutting edge, process-oriented therapies, as well as by Spirit through years of Dreamtime revelation, Ashandra-Aah brings a rare depth of wisdom and a breadth of knowledge of healing modalities to every session. Regardless of what level you choose to work on, you can be sure that you are in competent and loving hands with nearly thirty years experience at holding the wounds and celebrating the joys of others; listening to and sharing all that Spirit is cooking. For more detailed background information on Ashandra-Aah please feel free to peruse the Bio page. Be among the first to get your signed copy of Ashandra-Aah's new novel, the Gate of Galithonel. 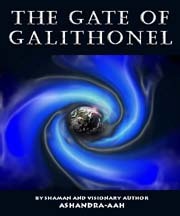 For more information, check out the author's home page at gateofgalithonel.com. NEW! Check out our Blog! We finally got it goin' folks... Each month we will present articles on shamanic living, energy healing, and related topics with special emphasis this year on the Medicine Wheel and Earth astrology. Read the articles, send replies and questions. We want to know what YOU would like to read. Thanks so much for viewing our sight. We send you love and light, with thanksgiving for your presence. Once a month Ashandra-Aah and anyone she can round up, will pray and work on the behalf of every person who makes a request. Each request will be placed on the mesa for the month, where Aashandra-Aah will juice them with energy daily, listening for any specific guidance that may come through. Then, on our special Sunday, all those who made requests will be prayed for and blessed as a group. Powerful prayers, as well as energy work, is done at this time and things can move, even in the group field. If you have a pressing need, please feel free to send us a message on the contact page. � Copyright ShamanicLightWork.com, 2006 all rights reserved.